The energy industry powers up other industries. It drives the growth and impacts the standard of living of citizens in any state. But the power production and distribution is marred by challenges. One the one hand, there are environmental concerns to contain carbon emission, while on the other, to stay up to the expectation of demanding consumers. Will the Internet of Things make a difference to the situation and help the industry to survive and thrive? Find your answer with Root Info Solutions, an IoT application development company. Equipping the power generation grid and the transmission lines with the Internet of Things, it’s entirely possible to curb the power leakage. Internet-connected objects or sensors can raise alert notifying the concerned supervisor or any other responsible staff to act swiftly. The sensors can be made to collect vital information regarding the power leakage like fault juncture or spot and factors that led to the leakage, so staff is better equipped to solve the problem as and when required. With the maintenance staff having proper information regarding the raised issue over their phone and at the right time, power distribution or maintenance department can stay better prepared, which will help them to avert any potential or better damage. Internet of Things is the driving force behind SmartHome concept that empowers users to access and control the lighting system remotely. When designed and developed keeping the Go-Green initiative in mind, an Internet of Things application can help users to regulate or configure the lighting attributes like luminosity and color temperature, which could help them in gaining the maximum output improving the efficiency of their wall light fixtures or other equipment. The energy industry is plagued with increasing cost of power generation and maintenance. In the wake of it, power generators and distributors are under immense pressure to invest further in customer service. Thanks to IoT, it helps not just in checking the faults and curbing leakage but also in staying alert on serving customers and resolving their complaints at their earliest. The Internet of Things (IoT) helps in collecting insightful and actionable data from different touch points that can be utilized to develop new and innovative experiences for consumers and employees by innovating services, enhance productivity and efficiency, improve real-time decision making. IoT is still in its infancy, but it has made its presence in its short spell of time. Citing its business value propositions and availability of skills to harness it, there is little doubt, IoT would not be a savior for the energy sector. However, it demands, utilizing the capability of IoT in the right way, which is a distant dream without investing in the right IoT application development services. 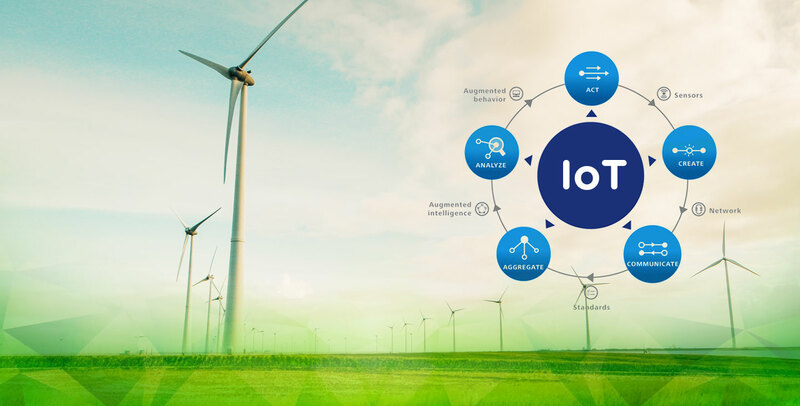 Hence, if you are looking for IoT app development, resort to an authoritative technology company that knows not just how to leverage the IoT platforms available today but also the challenges that are there in at the ground level.